Fair warning: This is a promotion and relegation article. As such, it will not be for many readers. If you find discussion on the topic of promotion and relegation upsetting, for the sake of your blood pressure, turn back now. All others, proceed. Let’s get this out of the way: Promotion and relegation with Major League Soccer isn’t happening. MLS investors have too much to lose, and they are strongly aligned against it. So much so, that they want you to think that you don’t want promotion and relegation, either. Their position was made abundantly clear by New England’s Jonathan Kraft, Seattle’s Joe Roth and MLS commissioner Don Garber at BlazerCon last year, as quoted in Part One of this article. Before MLS partnered with the United Soccer League to create a system where USL teams could affiliate with MLS teams, MLS and the North American Soccer League were discussing such a partnership between the nation’s first and second divisions. Kartik Krishnaiyer, who was the NASL’s communications director during that period, shared with the Two United Fans Podcast (14:30-18:00 marks) details on how the New York Cosmos’ entry into NASL influenced the league away from an affiliation path and onto an independent course with an eye towards competing with MLS in the future. Once turned down by NASL, MLS took the partnership offer to third division USL. In the years since, USL’s close relationship with MLS has allowed it to attract a greater number of new franchises than NASL, due to the reduced costs of operating a USL team. Granted, some of these new franchises are MLS reserve teams. These reduced costs are driven by lower travel expenses due to regionalized conferences and operational resources provided by MLS teams to their USL affiliates. Several investors with MLS ambitions have launched USL clubs to demonstrate their market’s suitability for MLS. Now that USL is potentially on the verge of being sanctioned as a second division league by the United States Soccer Federation, NASL’s position in the US soccer pyramid is in jeopardy. MLS and USL are developing a closed system similar to Major League Baseball and Minor League Baseball, and there is no place for NASL in that system. Here in Part Two, we will explore a vision for an alternative soccer pyramid structure that the North American Soccer League could create in conjunction with teams from lower level leagues like the National Premier Soccer League (NPSL), American Soccer League (ASL), Premier League of America (PLA) and United Premier Soccer League (UPSL) to compete against the MLS-USL system. Perhaps even some teams from USL’s Premier Development League (PDL) could jump ship, as club movement between NPSL and PDL has been relatively commonplace. The NASL already has a working relationship with NPSL that sees many clubs playing their reserve teams in NPSL, similar to how MLS reserve teams compete in USL. To date, NASL has attempted to differentiate itself from MLS by allowing its clubs more freedom over their rosters, brands and revenue generation activities. With a 15 year head start, MLS outpaces the relatively new NASL in every measure of success. Meanwhile, USL has differentiated itself from NASL by providing team owners with a minor league model that reduces operating costs and the unspoken promise that its cozy relationship with MLS could help an USL investor jump his team to the big league in a few years. NASL’s current differentiators are not sufficient to drive it to success in the marketplace. It is being squeezed from the top by MLS, and the bottom by USL. In order for NASL to change that status quo, it needs to give more reasons for people to watch it rather than, or in addition to, MLS. It needs to give owners a reason to join it, rather than USL. 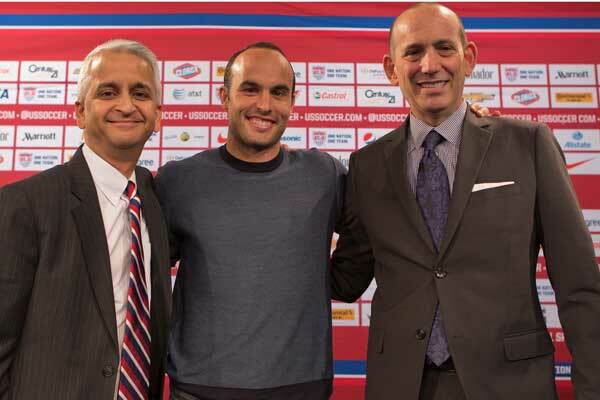 MLS aims to be the best American style sports league that plays soccer, or the NFL of soccer. USL aims to be the best minor league supporting MLS. NASL should aim to create the best global style soccer pyramid in North America, and that means building up to a point where promotion and relegation can be incorporated into the league structure. The North American Soccer League is not ready for promotion and relegation today, especially if MLS and USL teams are not going to be in the mix. There need to be more viable teams that can meet first and second division standards. However NASL can lay the groundwork for promotion and relegation in the future. Another area where NASL could differentiate itself from MLS would be in embracing supporter ownership in teams. MLS’s single entity model prevents supporters from owning shares in their franchises. The Chicago NASL group seeks to establish a Supporters Trust that owns 10% of the club. Seattle’s USL reserve team has a Supporters Trust that owns a 20% stake. Nashville FC was a supporter owned club in NPSL, but supporter ownership will drop to 1% in the USL franchise. Supporters Trusts own clubs around the world, however US Soccer discourages this model with the ownership requirements in its division standards. Providing equity to a supporters trust and literally making them owners in their club could help drive community engagement with the team. While NASL does not dictate a specific ownership structure to its clubs, it could encourage having some element of supporter ownership as a best practice. If the classic NASL of 1968-84 was NASL 1.0 and today’s league is NASL 2.0, these changes would represent an evolution into NASL 3.0. But before we get started on what a NASL 3.0 could look like, there is some fundamental work to do around standards and best practices for clubs before the league is ready to go there. One of NASL’s drawbacks is that it appears to be a less stable league than MLS and USL. Partially this is inherent to its decision to go its own way from the MLS-USL system. It is embarking on a road less traveled, and there are going to be bumps in that road. The league’s legal action against USSF is reported to have scared off at least one investor, in a potential Orange County team. A continuous trickle of rumors that teams may leave or fold is bad for the perception of the league’s stability. 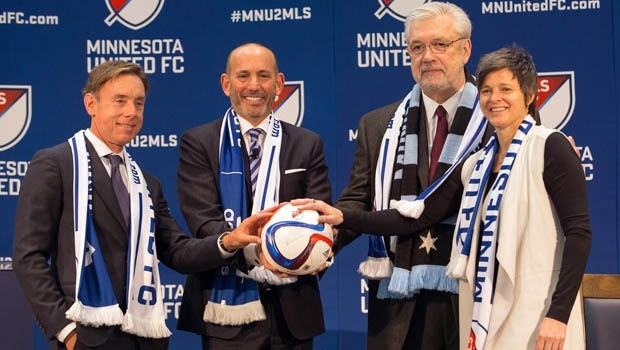 While Minnesota United leaving for MLS rather than facing in-market competition from a Minnesota Vikings-owned MLS team is an understandable situation, rumors of clubs leaving for USL is damaging. NASL needs to make certain it has a core group of solid clubs that are committed to the league’s vision. The New York Cosmos, Tampa Bay Rowdies, Carolina Railhawks, Indy Eleven, Jacksonville Armada, Miami FC and the San Francisco Deltas can give the league seven solid organizations based in the continental United States to build around, as long as they are committed long term. The Chicago NASL group can soon join that list. If the owners of these clubs are united in their commitment to a common NASL vision, the league will have a strong foundation to build from. However if several of these teams start leaving for USL, the league may fall apart before it can realize its vision. NASL would do better to have any uncommitted clubs from that group leave sooner rather than later, so it can identify who its core teams are and align together from there. If a strong core group sticks together, it will be less important if the teams on the fringes leave or fail. The Ottawa Fury are said to be looking at a switch to USL to reduce their expenses. Both Canadian clubs are linked with a potential move to a domestic league. While Puerto Rico FC is off to a nice start, it has a single owner and large travel expenses. While they have been a fun addition to the league this year, it is hard to see Puerto Rico being sustainable long term. Fort Lauderdale has reportedly had issues paying its players and staff on time, and its attendance has fallen off a cliff this season. Rayo OKC… well that is a whole other story. In July 2013, the North American Soccer League announced that Oklahoma City was awarded an expansion team. The club was to be called Oklahoma City FC, and it was scheduled to start play in 2015. 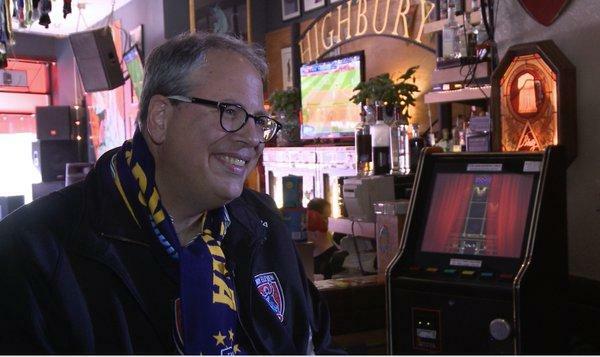 However, OKCFC fizzled out before it ever got going as a NASL team, because investor Tim McLaughlin bailed on the NASL bid to join up with a newly announced USL bid that would become the OKC Energy. McLaughlin took the club’s lease of Taft Stadium with him, and the USL team beat NASL to the market even though it announced later. NASL ultimately sued and settled with McLaughlin, but the other investors, including Sold Out Strategies, kept working behind the scenes to bring NASL to OKC. 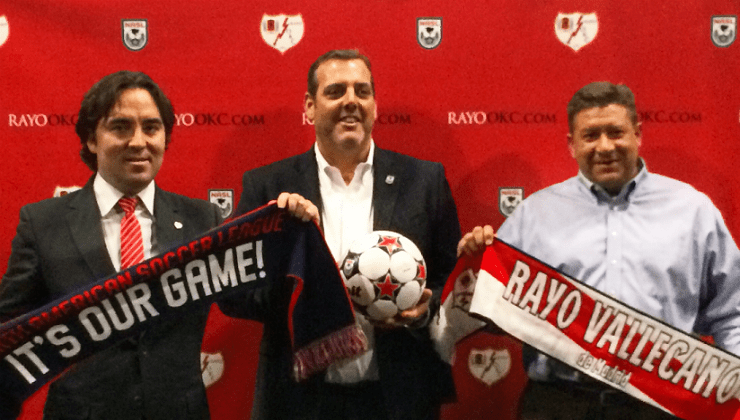 In November 2015, Sold Out Strategies would re-emerge with Spanish club Rayo Vallecano and Sean Jones as investors to bring Rayo OKC to NASL in 2016. The team was announced with only 5 months to go before the season. Skeptics who thought Rayo OKC might be a rush job were somewhat pacified when the club announced NASL veteran manager Alen Marcina as its skipper. Marcina had been the manager of the late San Antonio Scorpions, and led that club to a Soccer Bowl championship in 2014. Rayo further lulled skeptics into a sense of greater confidence with some impressive signings. Quality NASL veterans Billy Forbes and Richard Menjivar joined the club, as did former MLS players such as Michel and ex-USMNT striker Robbie Findley. The capstone was the signing of Giorgios Samaras, giving Rayo a true international star. The team offset its choice to play at a high school football stadium by using Nexxfield turf, which covered up football lines and made the field look good, at least to TV audiences. The opening match drew strong attendance and Rayo OKC continued with respectable crowds throughout the Spring Season. The experiment of having both a NASL and USL team in OKC seemed to be going okay. Then Rayo Vallecano got relegated from La Liga. After weeks of uncertainty, the majority ownership in Spain made a series of moves that resulted in Marcina and Sold Out Strategies leaving the club. The front office is reportedly a skeleton crew, an operation seemingly designed to see out the season and minimize losses along the way. The first home match after these moves, on August 20th, was barely attended. Rayo OKC debuted only 5 months after it was announced, with a foreign-based majority owner and a colony club brand, entering a market already occupied by a USL team. This is not a good model for an expansion team going forward. Like Rayo OKC, the San Francisco Deltas were met with skepticism when they were announced. Many people doubt San Francisco’s desire to support a lower league soccer team. The organization made a few initial moves in humor that caught a lower league US club soccer fandom that sometimes takes itself too seriously off balance. 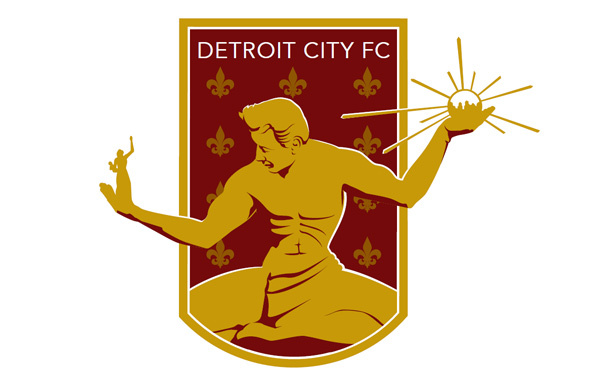 When the Deltas’ name and logo were unveiled, the reaction was generally negative. It was not until the club’s owner, Brian Andres Helmick, started sharing his vision for bringing soccer to San Francisco that perceptions started to change. Securing Kezar Stadium, getting permission to sell alcohol there, and investing in improvements in the facility helped show they were serious. 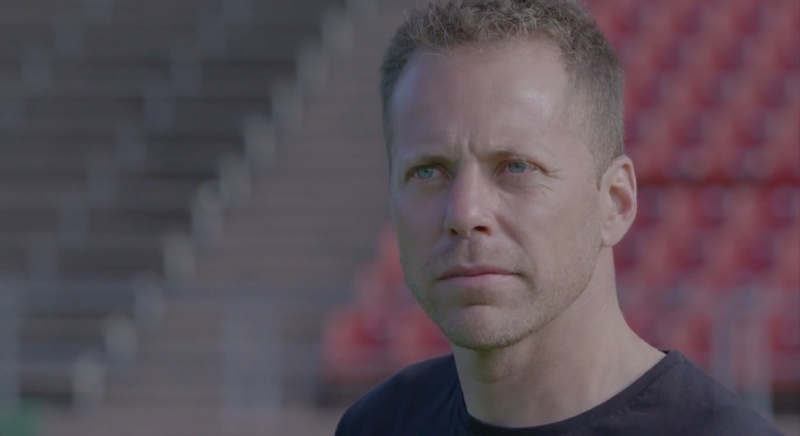 Landing respected manager Marc Dos Santos, who led the Ottawa Fury to the Soccer Bowl last year, has a once wary NASL fan base enthusiastic about the Deltas. The group’s contest for season ticket holders to vote on the home kit exemplifies how they are engaging the fan base from the start. While Helmick’s research into the best practices of NASL team’s is admirable, the league should have best practices for operating a successful franchise documented and ready to hand out to an owner like Helmick as a recipe for success. How to attract sponsors, fostering the growth of supporters groups, how to engage community leaders, how to drive season ticket sales and attendances to matches and how to line up local media coverage are common needs that teams should work together to perfect. You don’t have to be a single entity league to have a common set of operating standards. As the NPSL’s slogan says, “We compete for 90 minutes on the field… we are business partners always.” The Cosmos are better off when the Rowdies are a well-run business operation, and vice-versa. An important step for the league would be to create these shared best practices to benefit all members. With that out of the way, let’s follow Bill Peterson’s suggestion and imagine how promotion and relegation involving NASL could work, rather than focusing on reasons why it won’t happen. After codifying shared best practices and making sure all teams within the league live up to certain minimum standards related to them, the first thing NASL would need to do to go down the promotion and relegation path is make sure that the large majority of its owners are on board with it, and set expectations for future owners that pro/rel is coming. While not 100% necessary, ideally the league’s Board of Governors would also align around other related issues like there being no metro market territory rights that would keep another club from springing up in your market. NASL would need to find another way to drive up revenues rather than large expansion fees, because owners who have paid large entry fees would be reluctant to go along with pro/rel. The league has not charged the large expansion fees that we have seen from MLS, but NASL expansion fees do seem to be going up. The rumored expansion fee for Chicago is $10 million. Previous to that, NASL expansion fees have been reported in the $3 million region. Even if the Chicago fee report is true, NASL is still far away from MLS’s expansion fees, which are reportedly headed over $200M in the near future. However, if the league plans on hiking up expansion fees along the way as MLS has done, it will undermine the potential to implement promotion and relegation. Setting a standard expansion fee that grows annually at a rate adjusted for inflation and exploring alternative ways for the league to grow revenues necessary to support its operations would keep the system primed for pro/rel. Since NASL is inherently more decentralized than MLS, it should not need as much funding to support league operations. Fall 2016 sees NASL with 12 teams. San Francisco Deltas will join in Spring 2017, offsetting the departure of Minnesota United FC to MLS. Chicago will join likely NASL in 2018. Reports suggest that Ottawa could be leaving NASL for USL or a Canadian Premier League, though Edmonton is said to be staying in NASL. Netting this out, you have two teams likely on the way in and two teams likely on the way out, meaning the league presently looks like it will have 12 teams for Spring 2018. This is before factoring in the uncertain future for Rayo OKC or the six potential expansion groups that Bill Peterson has spoken of that could have a 2017 or 2018 start. Until NASL expands to 24 teams, promotion and relegation is a non-starter. There simply are not enough teams to create two divisions with pro/rel between them. However, creating a second NASL division without promotion to NASL1 makes sense as a way to get there. At the start, NASL2 would serve as an incubator for promising lower level clubs. A regionalized NASL2 would offer an expansion alternative to cost-conscious investors opting for USL today. USL’s two main advantages to investors are lower travel expenses and the potential of affiliations with MLS teams reducing operating costs. NASL can replicate one of those with this model, while offering its selling point of greater freedom over club operations and a first division future. Prior to Nashville’s USL announcement, lower operating costs were cited by Nashville FC’s Chris Jones and FC Tucson’s Rick Schantz as reasons why USL would be a more realistic next move for their NPSL and PDL clubs, respectively. There are several other ambitious amateur and semi-pro teams in the NPSL and similar leagues that may look to move up to the professional ranks. NASL2 could double as an “NPSL Pro” division. FC Buffalo, Detroit City FC, Grand Rapids FC and Chattanooga FC are among the clubs playing in quality markets and drawing respectable crowds on a regular basis ranging from 1000-4000. Several of these teams are outdrawing NASL sides regularly. NASL should work with these clubs to create NASL2 at a professional standard below the USSF’s third division rules. Division three rules would be challenge for these clubs to meet since they require an owner with a net worth of $10 million and none of those clubs are likely to have that. 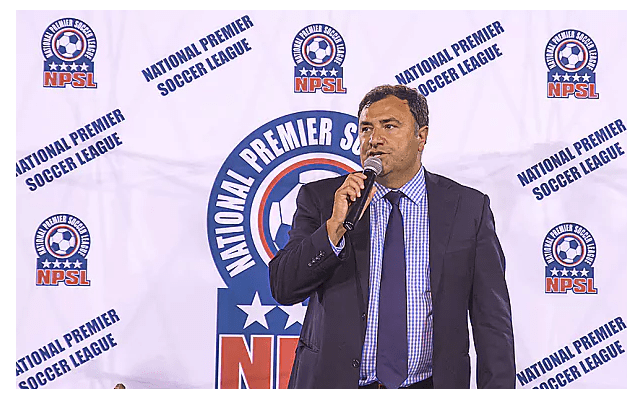 A pro league that sits below D3 standards and above the NPSL/PDL level (formally or informally) would represent a step up in quality for these teams, and allow them to continue developing their operations with an eye towards a further step up in the future. Presently there is no official fourth tier of US soccer, with NPSL and PDL acting as defacto fourth tiers. NASL could petition USSF to make NASL2 the official fourth tier, allowing the clubs in it to earn automatic entry into the US Open Cup. 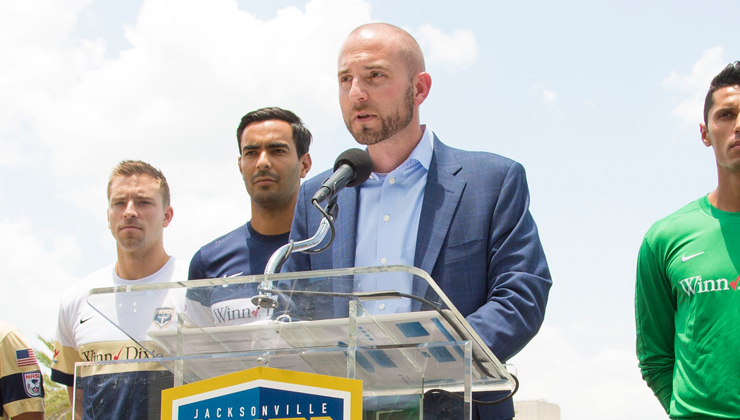 NASL would need to provide these clubs help with the best practices described above, as well as investor connections to support their further growth. To start, NASL could follow MLS-USL’s example and put NASL reserve teams in the league with these clubs to help regionalize NASL2 and minimize travel costs to clubs, while providing better competition to the NASL reserves than they get in NPSL today. As NASL1 and NASL2 grow over time, the reserve sides can drop down another tier. An NASL2 North division might start off consisting of Cosmos B, Indy NPSL, Chicago 2 and then FC Buffalo, Grand Rapids FC, Detroit City FC, AFC Cleveland, Boston City FC, the Kingston Stockade and the Milwaukee Torrent. The Philadelphia Fury from ASL could potentially join up, as could any other strong clubs that might exist in the American Soccer League and Premier League of America. NASL could get more aggressive than it is today in recruiting investors in target cities like Hartford, Providence and Baltimore to potentially join in the future. An NASL2 South division might consist of Rowdies 2, Strikers U-23, Armada U-23, Railhawks U-23 as well as Memphis City FC, Chattanooga FC, Tulsa Athletics, Virginia Beach City FC and the NPSL Atlanta Silverbacks. Teams in New Orleans, Birmingham and Texas could join later. A western division could be added down the road. The Deltas’ reserves and the B sides of any soon to be announced Western NASL expansion clubs could anchor the league. Clubs from the NPSL, like the East Bay Stompers and North County Battalion, and the United Premier Soccer League, like the L.A. Wolves, La Maquina and Cal FC could be interested. Successful PDL clubs like Fresno, Ventura County, Tucson and Albuquerque could be options as well. NASL2 would function as a bridge between NASL and the NPSL for those clubs that may be ready for a higher level than the NPSL or PDL can offer, but are not yet ready to be held to the USSF’s D2 or D3 standards. During this initial phase there would be no automatic promotion from NASL2 to NASL1, nor would there be from NPSL to NASL2. However playing in a higher profile competition like NASL2 could help those clubs attract investment to be able to afford the inflation-fixed expansion fee to join NASL1 ahead of promotion and relegation being implemented. The most critical success factor in this phase will be NASL providing good support to these organizations to help them sustain themselves at a pro level. This phase would last something like a decade, give or take a few years. Once there is a strong NASL1 with 20-24 teams and a vibrant NASL2 with 12 or so independent teams able to meet USSF Division One or Two standards, NASL1 and NASL2 could be split into two divisions of 16-18 teams with three promotion and relegation slots between them. NASL2 would be split into two regional conferences, the winners of each conference winning automatic promotion and the bottom two in NASL1 getting relegated. The second best teams in each conference would play to face the third worst team in NASL1 for a relegation playoff. 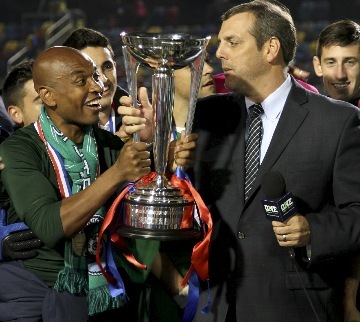 A newly created NASL3 would take on the incubator role without automatic promotion to NASL2. Reserve teams move to NASL3, which is aligned in four regional divisions. At this point NASL1 should meet D1 standards, NASL2 should meet D2 or D3 standards and NASL3 should fit in that new professional D4 standard mentioned above. The league might require teams in NASL2 to pay something like the inflation-fixed expansion fee to participate in promotion and relegation at this phase, or otherwise continue playing in NASL3. The final phase of the process would see the NASL pyramid formally connect with NPSL to allow promotion, with conditions, into the NASL system. Promoted teams must be able to meet the D4 standards of NASL3 and pay an expansion fee appropriate to that level if it is their first time entering the NASL system. The completion of this process would mean that someone could start a team in the NPSL and climb their way up to the NASL Premier division over time, just as clubs in England can fight their way up the pyramid while building up their club over a period of years. It also provides something of a safety net that allows upper league clubs that hit hard times to drop down a few levels without going completely under. If Ottawa or Fort Lauderdale were looking to reduce costs due to financial losses, they could stay within the NASL system and move to NASL2 rather than switch to a lower cost, competing league system. When they recover, find new investors or new revenue streams, those clubs could make a run at promotion back to NASL1. NASL Premier as a national 20-team division at the top of the pyramid. Maybe it is still split into Spring and Fall seasons, maybe not. Regardless, the single table would determine relegation to the NASL2. There would be two automatic relegation places (19th and 20th positions) and one relegation play-off (18th position in NASL Premier vs versus the promotion playoff winner in NASL2). NASL2 would be split into two conferences, East and West. These conferences would play only teams in their conference during the regular season. The winner of each conference is automatically promoted to NASL Premier. There would be a playoff between the second place team in each conference. The winner of the playoff would play the 18th team in NASL Premier in a promotion/relegation playoff game for a chance at promotion. NASL2 would relegate to NASL3, which is regionalized into four conferences. NASL3 is also where NASL Premier/NASL2 reserve teams would play, though they are not eligible for the promotion playoffs. NASL2 Eastern and Western conferences would re-align each year based on teams that are promoted and relegated. Clubs located nearest to the Mississippi River could shift from East to West in a given year to keep 12 teams per NASL2 conference. The worst finishers in the East and West Conferences would be relegated. A relegation playoff for NASL2 would take place at the end of the season with the second-to-last team in the East playing the second worst team in the West… loser plays the third-best NASL3 team in a relegation playoff. The worst teams in each of the four NASL3 divisions could be candidates to relegate to the NPSL, playing off against the four regional champions from that league. In general, there would likely have to be minimum standards a team needs to meet in order to be eligible for promotion to a higher division. If a team cannot meet those, the next-best eligible team would take their place in either automatic promotion or promotion playoffs. Play By USSF’s Rules Or Go In A Different Direction? The USSF enjoys a cozy relationship with MLS. The national federation and the country’s official first division are business partners in Soccer United Marketing, the group that sells TV rights for the national teams and MLS as a bundled package. USSF’s Twitter account frequently references MLS. Last year, NASL threatened a lawsuit over a proposal to raise the USSF’s first division standards to a level that seemed designed to prevent any challenge to MLS. USSF’s division sanctioning influences a league’s ability to participate in the US Open Cup and therefore the CONCACAF Champions League berth that goes to the winner of that tournament. While the Americas Champions League could offer a different path to (inter)continental glory, there is not an alternative to the Open Cup itself. The opportunity presented by the domestic cup tournament each year for NASL clubs to test themselves against competition from MLS and USL is one of the highlights of the soccer calendar. To continue to participate in the Cup, NASL will want to maintain some level of official sanctioning with USSF for each of its tiers. However, if USSF sanctions USL as a second division, at some point NASL might consider not worrying about where USSF sanctions it in the division rankings as long as it is sanctioned. The price to pay would be a few extra Open Cup matches due to lower seeding in that tournament. If the USSF shapes the landscape around the needs of MLS, NASL could opt to play by those rules only insofar as its teams qualify for the Open Cup and seek the Americas Champions League, whose driving force is Miami FC owner Riccardo Silva, as the vehicle to present itself internationally as a top league regardless of where USSF places it. Can North America Support Two League Systems? The North American territory may or may not be big enough to support two systems, but in order to thrive NASL needs to do a better job differentiating itself against the system MLS and USL are developing. Building up to incorporate promotion and relegation would be one way to do that, as would encouraging supporter ownership in clubs. The MLS-USL system offers soccer fans in this country a proven model that has allowed the USA’s other major team sports leagues to become huge businesses. However, NASL has the opportunity to implement a system that looks more like what we see in most of the rest of the world. It’s a model that offers meaningful soccer to fans in more metro areas across North America. Instead of the top division being limited to the top 28-30 markets like in the NFL, MLB, NBA and NHL, promotion and relegation allows the chance for cities across the continent to experience the glory of a top level league championship, the nerve wracking drama of a relegation battle or an adventure in an international tournament. The American style sports league answer to that is to allow close to 50% of the league’s teams into a postseason playoff tournament that undermines the value of winning the regular season. We already get that from those other four major team sports leagues. Wouldn’t it be nice to get something different from soccer? The USA alone has 53 markets over one million in population. The United Kingdom has 13. Surely each of those 53 metro markets deserves a chance to see a soccer team representing its area compete at the top of the sport in this continent? If they aren’t careful, soccer’s minor leagues will go the way of baseball. [Noted baseball historian Bill] James described minor league baseball this way: “Great cities drawing a couple of hundred fans a game, pennant races with no meaning, no connection between city and player, player and fan, fan and city.” That’s not what any pro soccer fan wants for his local team, but it’s the way that lower-division soccer may be heading. Don Garber, Jonathan Kraft and Joe Roth might be right; perhaps Americans wouldn’t like a system where their team could be rewarded for success and punished for failure by moving up and down divisions. The way things look today, it is very likely that the MLS-USL model will win out and top level soccer will be limited to only 28-30 markets rather than be allowed to develop in a way where it is open to all. But it sure would be fun to see the NASL and some lower league teams work together to give something different a shot. NASL has a lot of housekeeping to get in order before it is ready for this, as outlined above. However, if they can solidify around a core of strong teams, establish best practices that current and new clubs follow, assist lower league teams with an incubator system to help them grow and put together a differentiated league model that offers the American soccer audience something MLS-USL cannot, those cocksure “owners of soccer” just might get surprised. Implementing a successful, alternative model to MLS’s dominance over the sport in this country will take a lot of work, but if a core of strong NASL owners band together and make progress, they could find some of their peers who own independent teams in USL knocking on their door in a few years when it becomes clear there will be no path to MLS for their club. It is a battle against the odds right now, but that can change with a strong differentiated vision, persistence and determination. “Every -ist and every -ism thrown my way.” Rayo OKC and the internet badlands. All good but I propose a simple process starti.g with NPSL Pro relegation to NASL start doing that show MLS and US soccer how relegation Works starting from the National Premier Soccer League to the NASL. You have to give Npsl clubs a chance to move snd NASLclubs would go to NPSL. Most NPSL clubs are amateur and can’t afford to even pay players. Talk about pure fantasy. Remember when Bill Peterson was whining about forcing pro/rel on the U.S. and the NPSL spoke up and said hey lets try it here? Notice how Peterson quickly shut up about pro/rel then, Peterson wants pro/rel between him and MLS because that is where the money is and his league is dying cause it is shut out. He never wanted pro/rel between his league and a bunch of amateur teams. If the rumors about the NASL wanting a $10 million expansion fee for Chicago are true(what idiots would pay $10 mill to enter a dying league?) than you can bet they would never sign up to get relegated to an amateur league. People only want pro/rel if it benefits THEM. Well thought out and reasoned. I think you’ve made Ted’s argument better than Ted ever has. The flags I see are that most owners or people who have the capacity to be owners have little to no interest in fostering a 10+ year growth plan. If the alignment decisions can be made sooner rather than later, and folks feel like they are within touching distance of that “next level” then I imagine they will be more willing to embark upon this odyssey. But the problem is the game is already over. NASL clubs are either collapsing, jumping, or are eyeing the much stronger, cost efficient, and soon to be D2 USL. There is no united front. The MLS-USL model won. The good ship NASL is taking water and is sinking by the day. Where are you Bill Peterson? The NASL sealed its fate when it threw in with the Cosmos. The NASL was going in a different and much more sensible direction under David Downs until the Cosmos came aboard. That is when we heard this nonsense about challenging MLS for D1. The Cosmos were suppose to be the best team in North America and prove you didn’t need to be in MLS to do that. Four years later, despite being a great NASL team, they are ignored in the the NY market, have seen their attendance go down every year, still can’t get their stadium built, never brought in the star players they promised, get booted out of the US Open Cup every year by MLS, and have seen their brand greatly diminish. They were suppose to be the ship that dragged everyone else to success, but instead they sunk and brought the rest of the NASL down with them. The MLS-USL model easily won because it was ALWAYS going to win in this country. So now what happens? Well, the NASL will likely break apart and we will see the remaining clubs join the USL. MLS will have complete control of U.S. soccer and Ted will shake his fist on twitter like he always does and we will laugh. Well said., A rationale and reasonable view of the situation. For MLS , and to be honest , I as a soccer fan , I care more about the product on the field than. Anything else , and that’s where MLS in the 16 years have lack ….the first 4 years of MLS were great , but since then , from players they bring in and style of play , is not good at all …. I have stopped caring for MLS when I begin to see that they care less about the product on the field and worry more on attendance and over age players….. Now the NASL , is something different. Young league , so far they are giving players more freedom, and Young players a chance to play ….. The only problem I see is lack of marketing , from NASL teams. But also I can’t judge a league that’s been around again, 4 years to a league like MLS that’s been around for 20 years …. OK MLS ,20 yrs , TV : ESPN, Univision networks, fox , 200+ million entry fee (smh) + money for staff and players …..or ……… NASL , 4 years , 10 million entry , TV: CBS sports, Bein sports English/Spanish , One World Sports , Gol TV , have an extra 100 million to spend on team …….. The reason for pro/rel is having too many teams to make one league work. That’s still in the distant future for NASL, if it comes at all. Right now, it’s only purpose is to gin up support among those fans of the sport who see it as an essential characteristic of a healthy system. Simultaneously, though, potential investors get a need for reassurance that their expansion fee and any capital investment they make won’t be a burden if they are relegated in that future that may never happen anyway. A t present, the focus of the league office and its supporters should be on how the league is more stable than its weakest team (RayOKC), why teams shouldn’t leave for USL (Ottawa), and why it’s a better choice than USL for those looking to start a pro club (Nashville). Even if the league were on the right track, (and I don’t believe it is,) there would still be setbacks. Teams will fold, or move, or switch leagues, or be announced but never actually happen. But there’s just too much of it in NASL. MNUFC is leaving. RayOKC, FtL, Ottawa, and Edmonton all have big question marks. That’s almost half the league, and that’s only what is generally known.